The remains of Teotihuacan, an ancient city about half an hour’s drive outside present-date Mexico City. 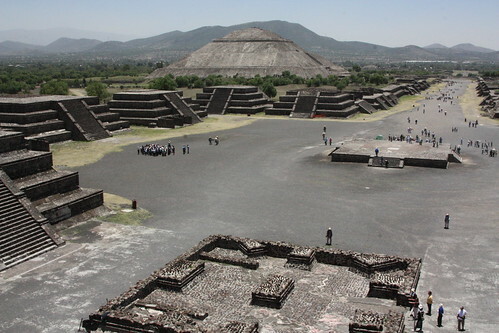 At its peak around 500 AD, Teotihuacan had a population exceeding that of Rome. Its engineering was sophisticated and included an ingenious sewage system, heated stone baths, gravity fed water and many other innovations. From Mexican design firm Omelette: “Mexico’s culture has been sculpted by its prolific natural world and its blessing/curse of petroleum. Hotel Básico is an exploration of these twin mothers and their vastly undervalued aesthetics. Its furniture and finishes are not new, novel additions to the world, but reconfigurations of that which exists. The Mexico City government gave Omelette, an interior and industrial design group, the equivalent of US $3000 to renew Calle Regina, a rundown old street of little shops and restaurants in the city’s downtown. “The renovation of 23 popular restaurants and stores on Mexico City’s historic Regina Street. Carla Fernández is a Mexico City fashion designer working with traditional Mexican styles and textiles in an unconventional way. I saw her studio on May 1 – photos at bottom. If you’re interested in the use of traditional textiles in fashion, it’s worth downloading her pdf book. ¡Guess! 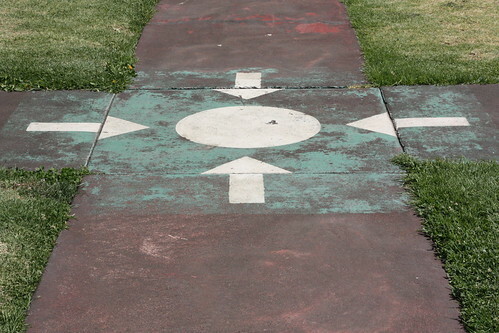 These are all over Mexico. Click photo to find out. 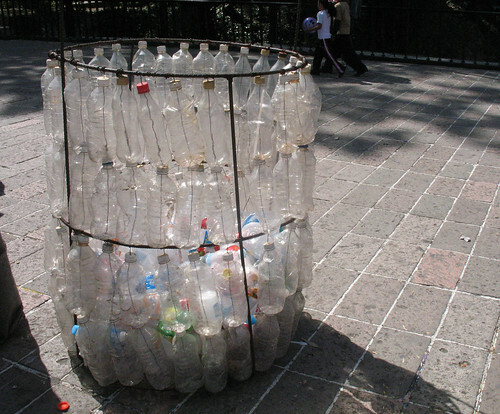 This bin calls out to your empty plastic bottle, in Mexico City’s Chapultepec Park.